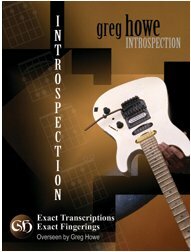 In other news - on Sept 12th, Howe will release his first guitar transcription book Introspection. The book includes exact fingerings (overseen by Howe) and tablature of Howe's 1993 album of the same name. The book is now available for pre-order here.